Don’t Forget: Give 2 Take 1 is this Saturday! Entrance is free for those holding “swap tickets” or $2.00 at the door. 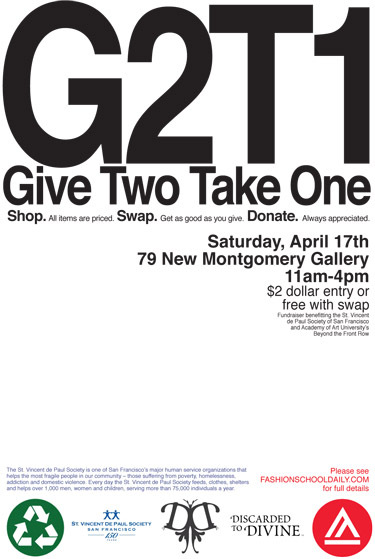 G2T1 is a clothing swap and cash only event. – Listen to live jazz with the Sebastian Parker Trio Noon to 2 p.m.